There is a small chance I could be moving to Helena montana.... I'm from Salem Oregon lol I don't have a single idea or clue what kind of wheeling is there or if there are any lol what's the law like with our xj's? How's the weather? Smog laws? Do they pour the ever so evil salt on the roads? What are the people like? Remember I'm from the state where we like to keep it weird lol what's the geography? Posting pics of the wheeling and cities and all around just Montana would help a lot if you guys could. Is Montana dead? Lol jk but another question as I've tried to read a thread of Montana here(last post was a year ago) how are the culinary jobs there? I know about the uranium mining and such but I'm a cook lol looks like west side is mountains and east is flat lands. 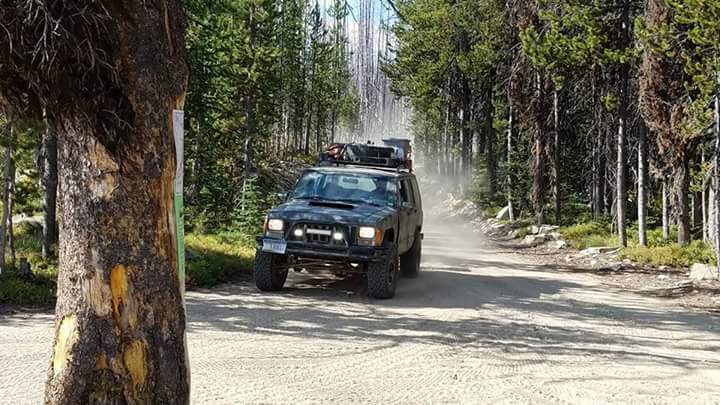 Is there any trails for jeeps near Helena? Difficulty of trails? I was raised in Eastern Montana so I can't say what the people are like in the Helena area. There are lots of job opportunities in the eastern part of the state right now due to the oil boom. Eastern MT has small towns (5-6K population if you are lucky) so people are easy to get along with. Just be friendly and you would fit in. I've been stationed in Great Falls, MT for about two years now. No emissions laws, they don't really care about fenders or mud flaps unless the entire tire is sticking out of the fender/body. We don't use salt here, only gravel/sand. 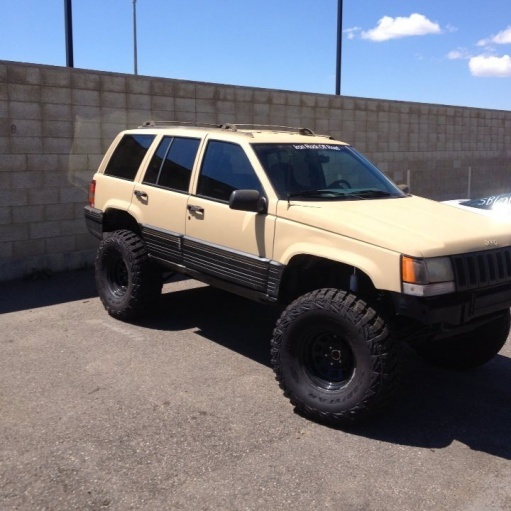 I drive this every day (1993 ZJ, 6" IRO long arms, 35" Kevlar MT/R's, built 5.2 V8 with no exhaust, and I've never been pulled over once or had any trouble.